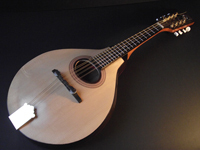 Alistair Atkin completed his studies at the London School of Furniture in 1995 and headed back to Canterbury to start building acoustic guitars full time. He was offerd workshop space by Canterbury based Arch top maker Andy Crockett. 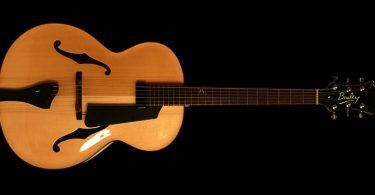 After some years of perfecting his own design of acoustic guitar he launched a range of six acoustic guitars, influenced by classic vintage styles and incorporating contemporary construction techniques. In 1999 singer songwriter Boo Hewerdine placed an order for a standard OM model while writing with Chrysalis stable mate Andy Mitchell, already an Atkin player. From then on the list of high profile players began to take shape. 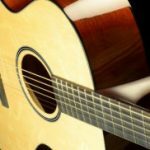 Throughout this time Atkin Guitars continued to receive top reviews in the music press, including a 5 star buyers Choice award from Guitarist Magazine and a Guitar Magazine award in 2003. In 2005 the ‘Lakesview’ workshop was purchased, and by late 2006 Atkin Guitars had moved into the new 2000 square foot facility. 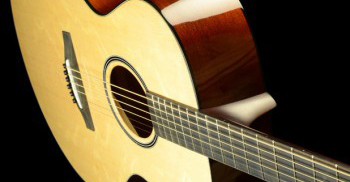 Atkin guitars are available in good music shops or you can arrange for a custom guitar made.